Zoë and her fiancé Paul had everything ahead of them. So when Paul dies suddenly, Zoë doesn’t recognise the life she’s left with. 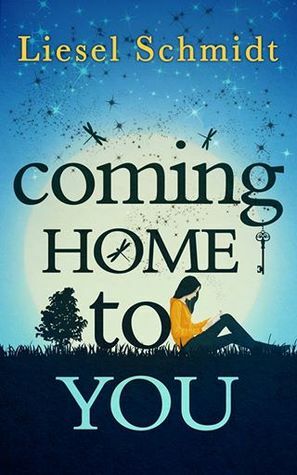 Helping a friend by housesitting for a stranger is the last thing she wants to do – but she can’t deny that she needs time away from the memories which crowd her flat. So, collecting the keys, Zoë lets herself into her temporary home. To be honest, I don’t know how to review this book. It was nothing like I thought it would be, nothing like it seemed in the beginning. And I can’t actually talk much about it in fear of spoiling it. And the thing is that Liesel Schmidt really knows how to describe grief. Really! You might not be familiar with the feeling (good for you though), but you will still experience it with her words. She might as well rip your heart out and stomp on it. There were some heartbreaking chapters in the beginning that I loved to pieces, even though my heart was such a mess while reading them. The overall story is about new beginnings, about (I kid you not) very unexpected events, things that lead one to the other in wonderful ways, I’d define it as ‘the wonder of the universe and the mother of coincidences’, LOL. You will understand what I mean (maybe) after reading the story. The thing is.. I do believe in the magic of tiny things leading to important ones, and this book shows just how that magic could work. 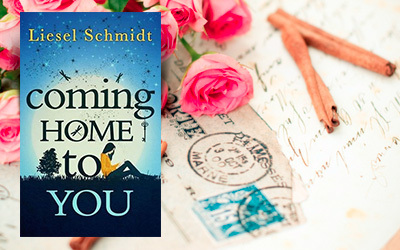 Zoë, the main character was absolutely great – though more in the first half then the last one, because at some point she really needed love and started to try too hard to make it come true in her life (or to believe that it will happen). It is a good thing, because the process of healing can do that to one, but I wish her life for was more about herself – about finding that she was a full person on her own, not necessarily that she needs another ‘half’ to be complete. But I understand that losing Paul was hard, she lost the chance to a life she already imagined, and that’s the side of herself she couldn’t get back no matter what, so she wanted it replaced with a similar version. I also appreciated the relationship she had with her best friend – Kate was there for Zoë, but she was not telling her whatever Zoë needed to hear; and that’s what friends should be for, to open your eyes to the opportunities and make you see things clearer. Kate wanted to help Zoë the right way. Also, Ray was nice because he was full of good intentions and wanted to help her as much as he could. The thing that I can’t wrap my head around is the relationship between Ray and Neil. I don’t want to spoil anything, but it was still strange. And there were things that worked for the plot itself, but they left me wondering what kind of friendship did they even have. I didn’t appreciate the fact that (view spoiler) Zoë’s memories have been tainted by Sam (Paul’s best friend). She deserved to have the past the way she remembered it, exactly. I know the author wanted to make a point, that things turn out always for the better, but with that she took the authenticity out of the story, in my opinion. Real life is messy and unfair and you can lose in one instant the very best thing you could ever have (it kills you, it breaks you, still it happens), but you will also be able to get the next best thing in line. It is not essential for it to actually be better than the first one, because it will feel like it anyways after everything that you’ve lost and you will make the best out of it. Life is not about pretending that what you had was not good enough after all, life is about looking forward and finding new things in life to make you feel whole again, as hard as it can be to move on. Also, there were too many turnarounds (which is not bad per se), this poor girl could go crazy with everyone trying to protect her by hiding important things from her. The pacing was a bit slow, with a lot of introspection (which I only minded in the middle of a dialogue to be honest – because Zoë would think so much around the problem that I would forget what she was saying or even doing at that point). And there was a moment when I wanted the letters to have more ‘soul’ in them, to be more funny, more flirty, but (yeah) I did get why that was not the case.. It worked with the story, believe me. I blame it on the synopsis for making them seem like a bigger deal. So you see, these things might not represent a problem for other people. It is not that the book is wrong for being how it was, just that I prefer some things to be different. And this makes it hard to rate the book, because if I give it a lower rating people might think that it is not a good story – which is not be the case – I liked the idea behind it, the prose and the characters. Book Source: ARC Received from the publisher for review. great review, though I’m not sure about this one. Yeah, I guess I kind of did. But the things is, I’ve also read other (happier) books between them, so it didn’t feel like I was only reading sad books. I was just more inspired to review these ones first, as I had more notes about them. I will have to write the review for “The Last Time We Say Goodbye” though, and that one will be a killer, because the story is like the mother of sad books. It messed up with my head, LOL. Ok, so I do realise now my mistakes, sorry. I added a spoiler tag in there. The things is.. What she finds out is not even such an important thing, it doesn’t change practically anything, it just creeps a bit a doubt into her mind, and there was so much happening in there that I really found it to be unnecessary in the overall story.